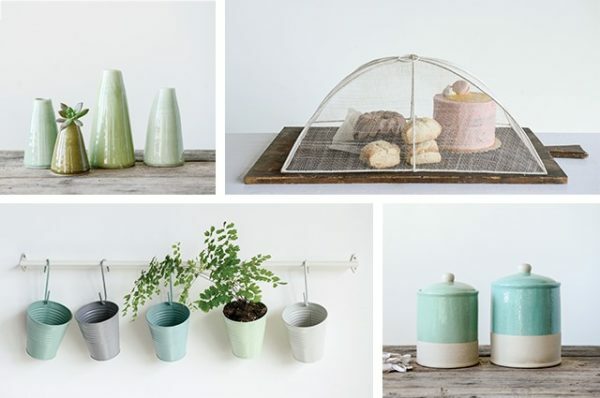 Mint and Mist: A refreshing and functional collection for the home. Color is a powerful tool. If you’ve ever painted a room or a piece of furniture, you know exactly how transformative it can be. When we dream of new collections and start to plan new products and themes, we often start with color. Not just a color palette, but a feeling and a mood that those colors create. In January of 2016, we were inspired to create a theme that was refreshing and renewing, a truly relaxed style for today’s home. As we created a color palette, we felt drawn to colors that truly embodied the clean, fresh look we were hoping for: sage, mint, pistachio, and shades of grey. These natural hues blend easily into many different styles of décor and can be incorporated into any room of the house. Though this collection had many names during its creation, we finally decided that Mint and Mist perfectly integrated every element that we were hoping for. With a new theme, also comes brand new products, inspired by pieces you’ve loved in the past. New shapes of elements that you love, such as glazed stoneware mugs, bowls, canisters, and pitchers. New colors on classic berry bowls, batter bowls, and mini bakers feel fresh and new. Your favorite wooden spoons, now come with dipped handles in our mint and mist palette. There are little pieces here and there that we knew you would love to see. This new theme allowed us to find opportunities to grow our line. The sage colored, “Welcome to Our Home” tray is an excellent embodiment of this collection. 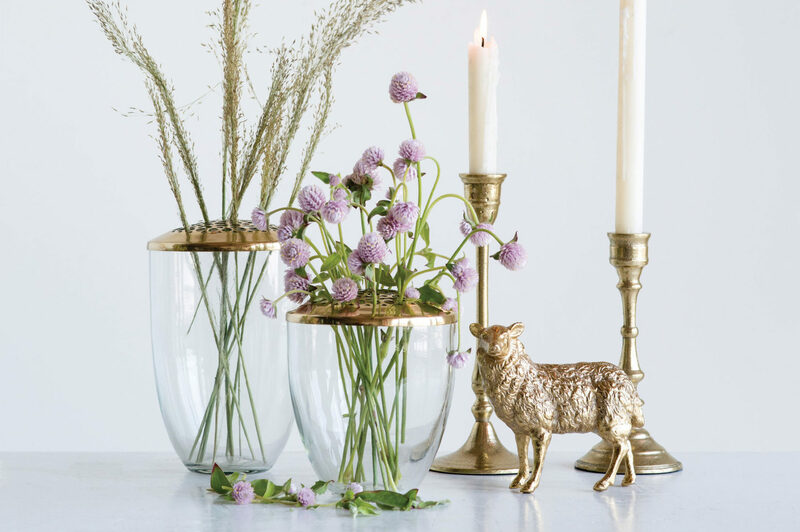 It’s a fun, versatile piece that’s an effortless addition to any décor. Intricately hand-carved handles, mixed materials, and rich patterns are integrated into salad servers, cutting boards, and coasters. These harmonize simplicity with craftsmanship. A broad choice of materials including cement, horn, glass, wood, terra-cotta, seagrass baskets, abaca fiber and metal perfectly blend and contrast to keep this collection from being anything but boring. The pillows, blankets, and rugs of this collection combine classic concepts with a more modern approach. Unique textures and patterns created with tassels, weaves, and embroidery adds a bit of unexpected but unique detail. Natural materials such as hand-woven seagrass, jute, raffia, and straw break up the soft tones of this collection and add depth in both color and texture. We hope you love the results of this collection as much as we loved creating it! From refreshed, best-selling product bodies to 100% new and fabulous items, you’re sure to find something to adore.